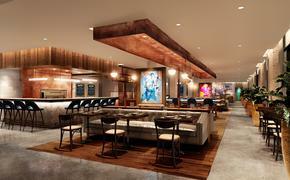 The Park Hyatt Beaver Creek Resort and Spa in Beaver Creek, Colo., plans to redesign its guestrooms this fall. The hard- and soft-good upgrades are slated for completion in time for the start of the 2013-2014 ski season. The multimillion-dollar renovation will bring a mountain contemporary look to the hotel’s 190 guestrooms. The rooms will feature a palette of creamy white with touches of charcoal gray and gold. The focal wall of each room will include a starburst wood grain pattern. The abstract carpet design will reflect a freshly groomed ski slope, and artwork will reflect the mountains.